Following several days of rumors, it’s now been confirmed that Disney has reached an agreement with four major Hollywood studios to bring their titles to its rebranded Movies Anywhere service, increasing the digital locker’s content library to over 7300 movies. By connecting to their iTunes, Amazon Video, Google Play, or Vudu accounts, Disney Movies Anywhere users could store Disney, Pixar, Marvel, and Lucasfilm movie purchases in a single location. The service allows people to view their digital library anywhere and across a range of devices and operating systems, including Android, iOS, Amazon Fire devices, Apple TV, Android TV, Chromecast, Sony Bravia smart TVs, and Roku. 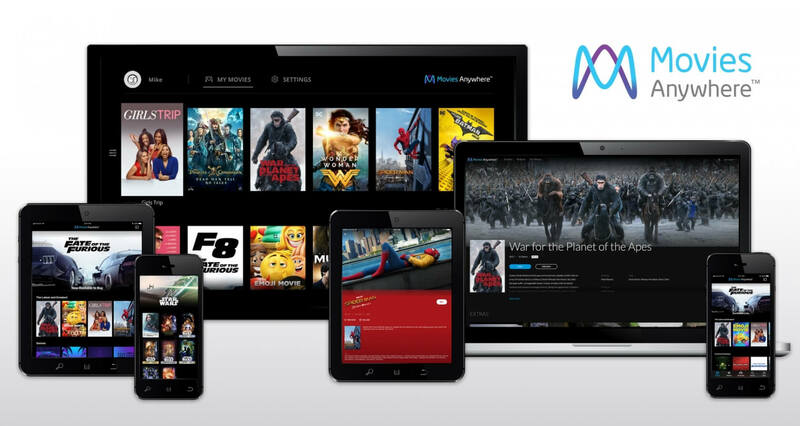 Now, 20th Century Fox, Sony Pictures, Universal Pictures, and Warner Bros. have joined the expanded version of Movies Anywhere — launched late yesterday — which is built on the same Disney “keychest” digital rights system architecture. It also means physical DVDs and Blu-ray movies from the newly signed-up studios that come with digital codes can be accessed anywhere via the app/website. For a limited time, users that activate and connect their accounts to one of the aforementioned online retailers will receive free copies of Ice Age and 2016’s Ghostbusters. Linking two or more accounts will also get you Big Hero 6, Jason Bourne, and The Lego Movie for nothing. The Disney Movies Anywhere app is being replaced by the new version, which drops the “Disney” part of the name. Although only available in the US, travelers can access it internationally, and movies can be downloaded for offline viewing. Disney last month confirmed that its Marvel and Star Wars movies would be joining Pixar and Walt Disney Studios features in leaving Netflix for the company’s own streaming service, set to begin in 2019.